Kitchen water filters are the most common type of filter that people install in their home to purify tap water. These filters can stand on your kitchen counter with or without attachment to your water line, or they can be installed under your kitchen counter. These are the three available options for people looking to purify tap water for drinking and cooking purposes. Multi-stage filters have become the standard for water filtration, which means that multiple filter cartridges make up a filter system. Unfortunately, not all homes have large kitchens that can accommodate the bulky hardware that may come with a multi-stage filter system. There are, however, a few filters that have managed to cleverly combine several filter cartridges into a single, high-performance filter cartridge. The result? Less hardware, more space in your kitchen. Why Buy a Compact Filter System? If you have a small household and it would be a problem to find space for the bulky hardware of multi-stage systems, a compact system will save you space in your kitchen. Compact kitchen water filters have fewer or a single filter cartridge that uses a blend of filter media to ensure that water goes through more than one filtration stage. Compared to traditional multi-stage filters, these filters are cheaper to maintain, given that there’s only one cartridge to replace. This cuts down on filter replacement costs and maintenance time. With a filter service life of 2 to 3 years, these filters are very easy to maintain. These high-durability filters are bacteriostatic preventing the formation of bacteria within the filter, which means that you can use them for the entire duration of their service life without worrying about bacterial grow-through. Replacing and remembering the replacement date for a single filter cartridge is much easier than having to do this for several filter cartridges. 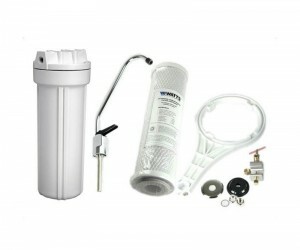 Undersink filters require a dedicated filter tap to dispense filtered water. Some of the filters discussed below are dispatched with a standard filter tap, others leave you the option to choose a filter tap that best meets your requirements. If standard filter taps are not something you want, you can always upgrade to a 3-way kitchen tap, which is easier to install and it’s a more functional choice. The ideal kitchen filter is compact, easy to install, and purifies tap water without compromise. 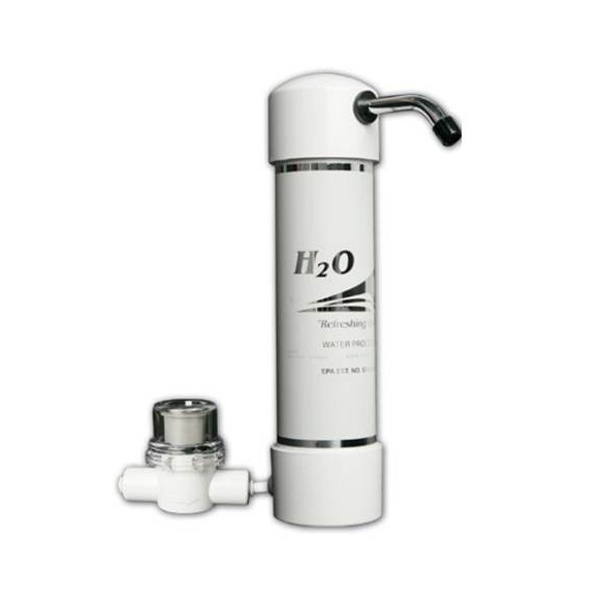 The H2O Homecare Compact is a single-cartridge filter with an average service life of up to 3 years. This lends the filter unmatched durability and efficiency. Blend of proprietary filter media, which removes or drastically reduces arsenic, barium, cadmium, lead, mercury, iron, selenium, and other contaminants. The fact that the H2O filter is rated for 45,420 litres makes it one of the most economic filters on the market. The filter is installed under-sink and needs a dedicated filter tap. You can browse our large selection of filter taps to choose a regular filter tap or a 3-way kitchen tap. 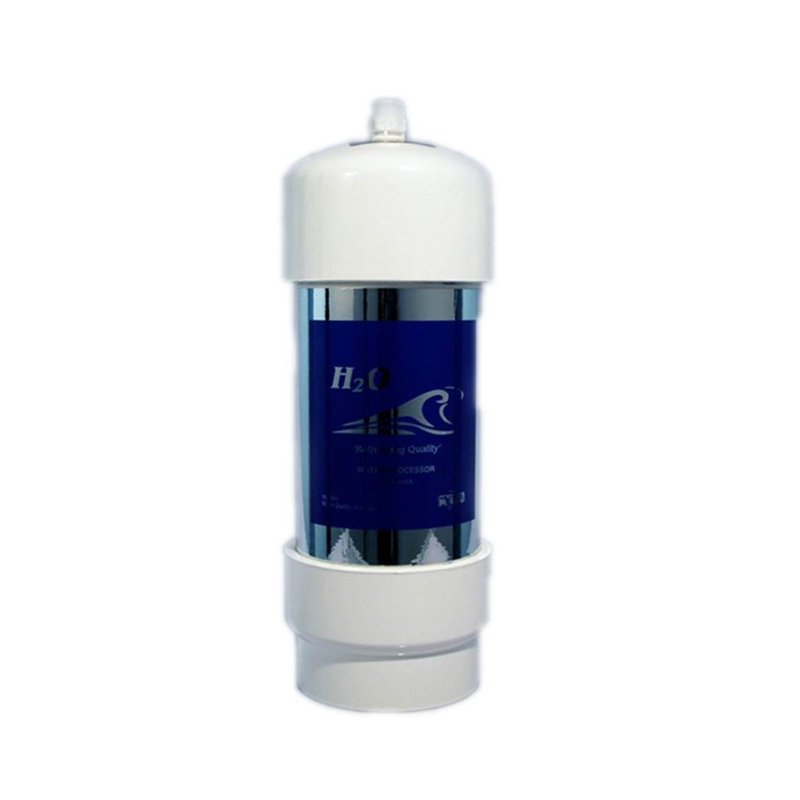 The H20 Pure Life undercounter filter offers a superior filtration through the combined power of multiple filter media concentrated into a single filter cartridge. Riolyte to create pH enhanced water. The single filter cartridge has a service life of up to 2 years, and the system is dispatched with a ¼-turn chrome tap for dispensing filtered water. Riolyte media to re-introduce minerals that may have been lost during the filtration process. The long-life filter cartridge provides excellent filtration and durability, making this filter system a convenient choice for any household. 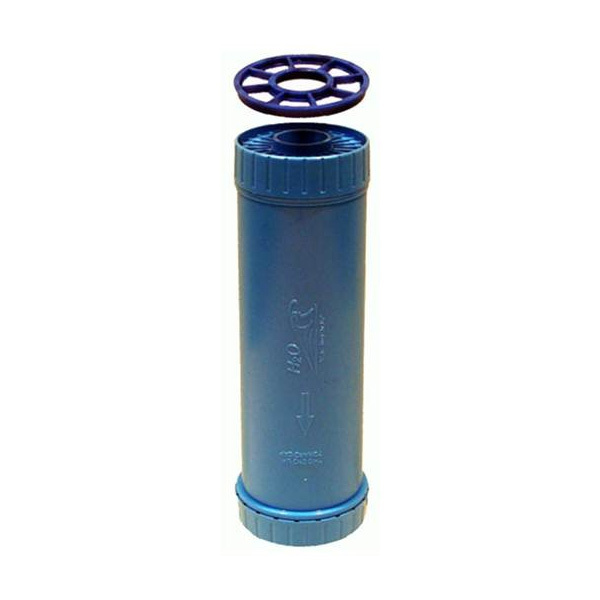 Pair this filter with any 3-way kitchen tap or standard filter tap from our selection of kitchen taps for filter systems. The ideal kitchen water filter is one that fits nicely in your kitchen and operates with high-quality filter cartridges that lend the filter a long service life. Beyond compactness, durability, easy maintenance and wide-ranging contaminant removal are other important aspects that you should consider when choosing a kitchen water filter. Our single-cartridge systems are designed to meet the needs of smaller households where space for bulky filter hardware is limited. These filters come with all the advantages of multi-stage systems, but none of the hardware that can take up too much space under your kitchen counter. All systems can be used with regular water filter taps or 3-way kitchen taps, both of which you can add to your purchase when buying the filter system of your choice. Our single-cartridge filters are from reputable brands, contain high-performance filter media, and are recognised for their excellent economy and durability.